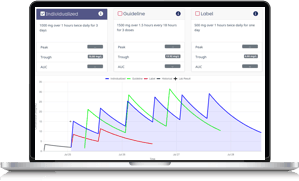 Explore our beautifully simple (yet powerful) tool that makes therapeutic drug monitoring and drug optimization easier. We invite you to take a self-guided tour through the DoseMeRx experience. Stop, start and review at your own pace. When you’re ready for more, request a free no-obligation 14-day trial today.